One family is happy to have their child home after the bus dropped him off at the wrong address and ended up wandering miles away from home. 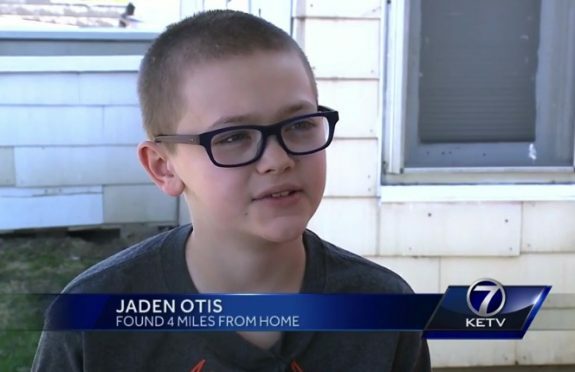 Ten-year-old Jaden Otis rides home from school on the bus. But on Thursday there was a substitute driver and he was let off at the wrong stop. Initially, when he realized he wasn’t at home he tried to run after the bus. Then he started to walk and ended up going in the opposite direction. Jaden is on the Autism spectrum and often kids with ASD will have trouble with location awareness. As expected the family panicked when he didn’t arrive home. Family, friends, police and several OPS employees searched for hours. Thankfully a neighbor recognized him from the news and alerted authorities. After walking for nearly two and a half hours, Jaden was reunited with his family around 7 p.m. While his parents are happy to have him home, that they have meetings scheduled with the Student Transportation, to determine how the driver was given the incorrect address. The family told KETV, the bus driver is also supposed to wait until Jaden goes through the door of the house and makes eye contact with a parent or sibling before driving off. The substitute bus driver has been placed on administrative leave during the investigation.